As the Syrian army advances in the jihadist-ravaged city of Aleppo, Russian political analysts explain why the once-vibrant metropolis, formerly home to 2.3 million people, is of prime importance to all the parties of the conflict and can play a key role in settlement of the ongoing crisis. The first group of residents trapped in Aleppo's militant-occupied eastern neighborhoods has started to escape through a humanitarian corridor created with Russia’s help, according to reports broadcast by Al Mayadeen TV. Leaflets were dropped on Thursday over the city with instructions on how to approach checkpoints and a map showing the corridors. Those who want to leave are supposed to wave the leaflet with their right hand raised above their head and the other hand either around their head or holding a child's hand, the leaflet reportedly says. While approaching checkpoints the residents are advised to move slowly and to follow the commands of the Syrian military. Once near checkpoints, they will be required to turn around to demonstrate they do not have explosives on them. Russian Defense Minister Sergei Shoigu said on Thursday that Russia and the Syrian government have jointly launched a large-scale humanitarian relief operation in Aleppo, establishing three corridors for civilians and one for militants wishing to lay down arms. Syrian Arab News Agency (SANA) reported on Thursday that President Assad has issued a decree granting amnesty to all militants who surrender within three months. This prompted “scores of terrorists” to turn themselves in and lay down their arms. Meanwhile, local media reports suggest that the Syrian government forces are ready to retake the desperate city; they've already re-established full control over two more strategic districts along the last access road into opposition-held east Aleppo: the neighborhood Bani Zeid and a second rebel-held district adjacent to Bani Zeid. 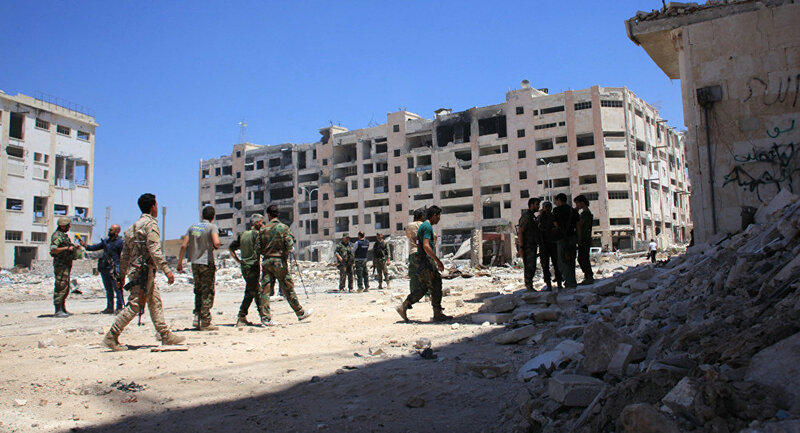 A military source told SANA that army engineering units had dismantled the explosives and removed mines from its streets and squares, with the Syrian army establishing full control over the Efrin bus station, youth housing and all the building blocks and factories in al-Liramoun in the northern outskirts of Aleppo. Meanwhile, Vladimir Shapovalov, the Director of the Institute of Political Science, Law and Social Development has explained to RT why Aleppo, Syria’s most important economic and geopolitical center, might become a key to fully resolving the Syrian conflict. “Aleppo is of prime importance to all the parties of the conflict as it is Syria’s most important economic and trade center; the city lies on the crossroad of the country’s trade routes and holds a very advantageous geopolitical position,” he said. “Full control over Aleppo allows one to control not only all of northern Syria but the whole territory along the border with Turkey, the district inhabited by Kurds, and the territory of northwestern Iraq,” the political analyst explained. Hence, Shapovalov said, there’s no wonder that since the very start of the military conflict in the country there has been fierce fighting for this city. Another political scientist, head of the Center for Middle East and Central Asia Studies Semyon Bagdasarov, also explained that Aleppo is the top strategic point, the economic capital of Syria and its clean-up could be a grandiose victory for Syria and Russia. “However the liberation of Aleppo without closure of Syrian-Turkish border crossings, first and foremost in the city of Azaz, will be a hard task,” he said. “Azaz — is a Turkish crossing gate and a whole load of arms, ammunition and thousands of militants have got into Syria through this crossing. 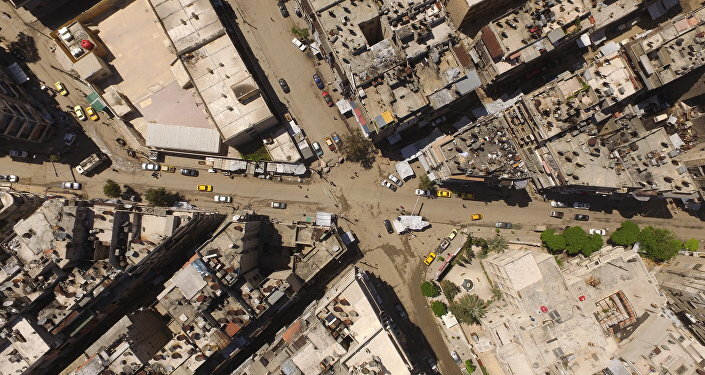 It must be closed and it could be dome only in alliance with the quasi-state [known as] the Federation of North Syria – Rojava, or otherwise the Syrian Kurds,” Bagdasarov explained. Vladimir Shapovalov also noted the Kurds, more than anyone else are interested in the liquidation of the jihadists and might become a key ally to President Assad. “For the Kurds, the most important thing is the fight against the Islamist militants, which are their major adversary in establishing Kurdish autonomy,” he said. “In such a context, the alliance with the Syrian government is of primary importance to the Kurds, as it is Assad who could ensure the security of the Kurdish areas, not only from the terrorists but from Turkish claims as well,” he added. Semyon Bagdasarov also agreed that Aleppo is a sweet spot for Turkey, as it is the gateway to the whole north-west of Syria, including Aleppo Province. “Turks historically regard Aleppo as their city and think that the population of the city gravitates more towards Turkey, but it is not the case,” he said. The political analysts agree that the liberation of the city would mean the liberation of Syria and the end of the war. 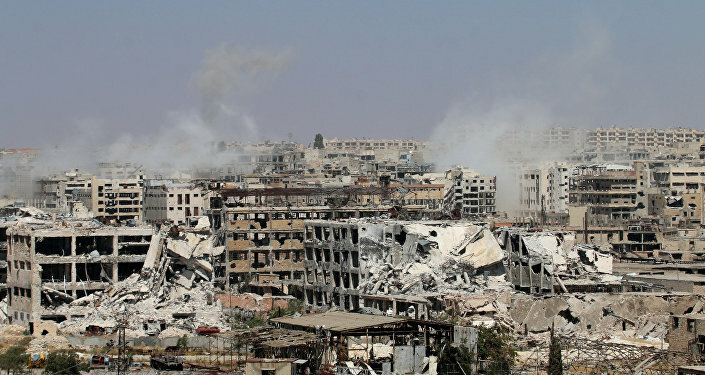 “Control over Aleppo would allow for the completion of the restoration of the Syrian government’s authority over most of the country, the most densely populated and the most economically developed part of the country” said Vladimir Shapovalov. “After establishing control over Aleppo, control over the rest of Syria would only take a couple of weeks", he concluded.